Radha Krishna. Radha's name is first. Why? Nobody can be better devotee than Radharani. 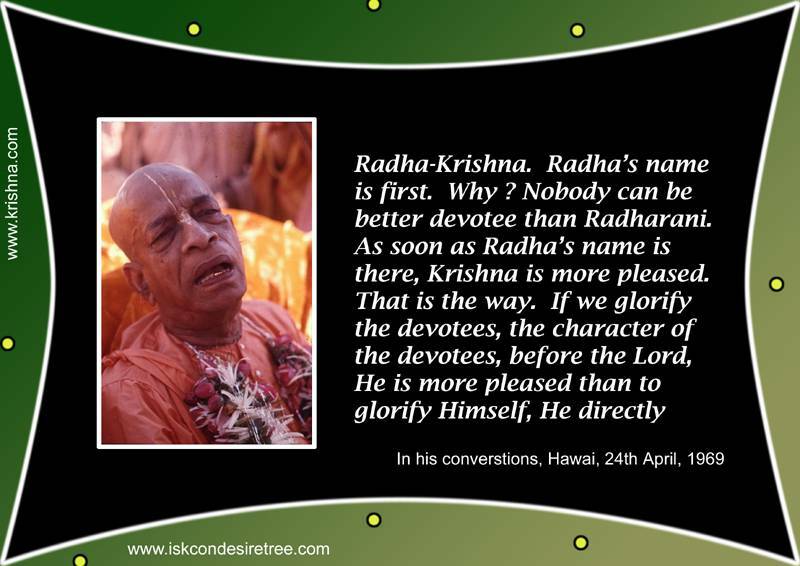 As soon as Radha's name is there, Krishna is more pleased. That is the way. If we glorify the devotees, the character of the devotees, before the Lord, he is more pleased than to glorify Himself, He directly. — in his conversations, Hawai, 24th April, 1969.